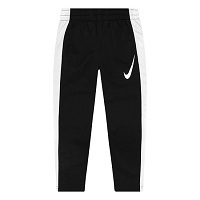 Whether you're looking to stock up on back-to-school gear or are dealing with your son or daughter's major growth spurt, kids' pants and other bottoms are a great place to start. 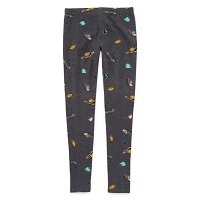 JCPenney offers a multitude of kids' pants styles for infants, big kids and every age in between. From casual sweatpants or formal chinos for your son to patterned leggings, cropped capris or bootcut pants for girls, you're sure to find styles you and your kids will love. Looking for something casual for your boy or girl to wear? Pick out a pair of kids' jeans! Jeans are a wardrobe staple for adults and kids alike, perfect to wear while playing with friends, heading to school or running errands with mom and dad. Looking to stock up on summer styles? If your son or daughter needs warm-weather clothing, he or she will definitely want a few new pairs of shorts. Are you trying to find athletic shorts for your active child? Or, maybe a pair in denim or cargo? A Bermuda-length style? No matter what it is, JCPenney has you and your kids covered with a wide variety of options from such designers as Nike, Carter's, Levi's and more. If you have a daughter, it's not just kids' pants and shorts you may want to stock up on—skirts are a great option for girls, whether they're worn by themselves over the summer or layered with leggings during the cooler months. Choose from a range of styles and colors, including casual, colorful maxi skirts and formal khaki and black skirts perfect for a school uniform. Skirts are available for babies, toddlers, preschoolers and older girls, which means no matter what your daughter's age is, or how fast she's growing, you'll be able to find a skirt for her.